If you’ve been contemplating the idea of selling your home this holiday season, you may want to think again. You should be spending time with loved ones building memories. More than half of American workers (55%) left vacation time unused in 2015. This adds up to 658 million unused vacation days. Therefore, it is more important than ever to maximize the quality time you do have with your family. Wouldn’t you rather spend that time making cookies and not packing boxes? The holidays can be stressful. In fact, in a recent article published by Harvard, 62% of people surveyed indicated that they felt “very” or “somewhat” stressed during the holiday season. You know what else is stressful? Moving. You may have to leave at a moment’s notice, should a potential buyer want to take a tour of the house, which isn’t ideal when you’re right in the middle of hanging lights or baking pies. Your house won’t show well. Preparing your home to sell is a process. And it starts with cleaning your house, inside and out...and keeping it clean. You’ve also got to de-clutter and de-personalize your home. This isn’t an easy feat during regular times. It’s even harder during the holidays when your home is filled with gifts, toys, treats and heck, even TREES! While it may not be a convenient time for you to sell, that doesn’t mean you shouldn’t take some kind of action. If it’s inconvenient for you to sell now, it’s also inconvenient for your competitors. They’ve got the exact same thoughts running through their mind - the holidays are a time to spend with friends and family, to fill the house with food and fun. 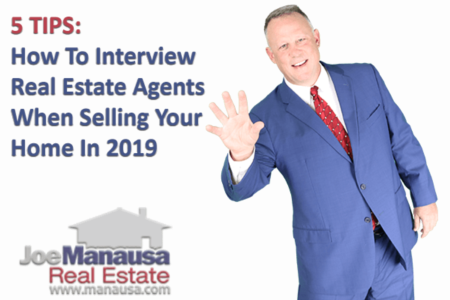 But if everyone waits to list their house in January, the market will get saturated and, as a seller, that means the price of your house will be driven down. Additionally, the buyers who do come out during the holidays are very serious. These are the folks who want a house and they want. it. now. Think about it. These buyers are sacrificing time with their family and friends and their precious vacation days to spend it looking at a home for sale. You don’t want to lose out on a great offer for the sake of convenience. 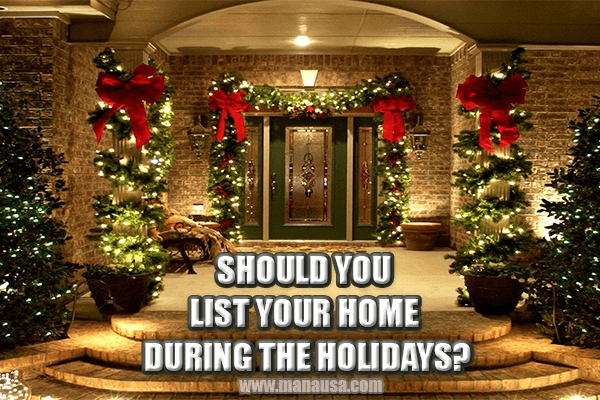 Wouldn't it be great if you could market your home during the holidays ... but not offer it for showing until the new year? Introducing A Website For Holiday Home "Pre-Marketing"
We have created a website that allows us to market a home for sale BEFORE it hits the market. That way, when your home is ready for showing after the holidays, serious buyers will already know about it and be lining up to see it. Have Your (Gingerbread) Cake And Eat It Too! Our pre-marketing solution allows you to enjoy your home through the holidays while still gaining valuable exposure in the marketplace. So, when the tree has been taken down and the last cookie has been consumed, there will already be interest in your home the second you put it on the market. We list your home on www.comingsoonhomestallahassee.com. This website is dedicated specifically to showcasing homes that aren’t yet on the market but will be soon. It’s the first (critical) step to putting your home up for sale in this market, without the hassle of actually having to prepare your house for sale. So, you can enjoy that second glass of eggnog knowing that your house is already getting exposure online. Serious buyers will look at your home. 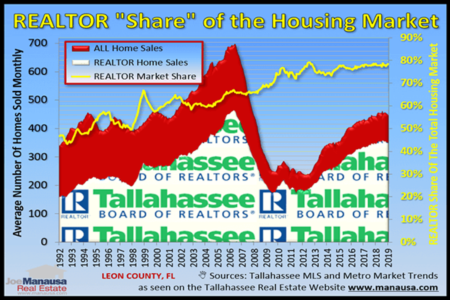 There are more than 1,000 visitors to the website each month and the only reason they are visiting is because they are interested in seeing homes for sale in Tallahassee. The majority of the site’s visitors sign up for notifications so when a new home meets their criteria, they get an alert to check it out. Multiple offers will result. There is a countdown for every listing on the Coming Soon Homes Tallahassee website. So potential buyers know exactly when the listing will go live and they are prepared to write an offer almost immediately. Your house won’t stagnate on the market. It takes time and marketing to build buzz around a house. Generating this hype early means your property is already well known and people are ready to pounce on the opportunity the second the listing is live. It will buy you time. Only 3 photos, shot from an iphone or similar, and some basic details are needed to list your home on the Coming Soon Homes Tallahassee website. So you’ll have time to clean up the last of the post-holiday glitter before the professional home photographer comes to take pictures of the house, but your home is already getting exposure. Did you know that 94% of home searches start online? This means it is important to be advertising your home across various online and social media channels. Joe Manausa Real Estate spends more money marketing a listing before it even goes live than other local agents spend over the course of the entire listing period. And once your listing is live, Joe Manausa Real Estate continues to market your home. By using search engine optimization, email marketing, Facebook advertising and data analytics, Joe sells more homes faster and for more money than any other Tallahassee brokerage firm. In fact, he is the only real estate agent in Tallahassee who is endorsed by Barbara Corcoran, a real estate mogul who built New York’s largest real estate company and is also featured on ABC’s hit reality show, Shark Tank. At Joe Manausa Real Estate, we're all about 100% customer satisfaction. We provide a solution that allows you to stay in your home through the holidays while also receiving the added benefit of generating interest before the home even officially hits the market...it’s the perfect present to ring in the New Year. So check out the website, www.comingsoonhomestallahassee.com or give us a call at (850) 366-8917 or drop us a note and we'll be in touch right away to show you how a coming-soon marketing plan will give you the best holiday season ever!